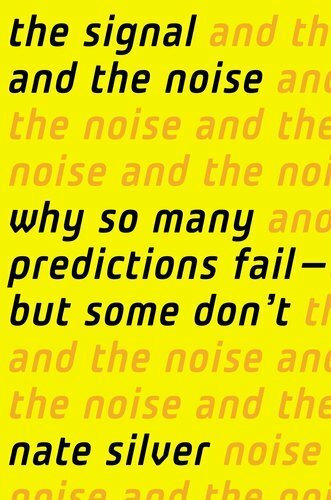 The gist of Nate Silver’s excellent The Signal and the Noise (2012) is that in order to make good predictions about the world we need to learn to think probabilistically. Delving into a range of rigorous case studies ranging from baseball and presidential elections to the stock market, poker playing, global warming and terrorism, Silver observes that in any data-rich environment “we perceive far more inputs than we can consciously consider, and we handle this problem by breaking them into regularities and patterns” (449). The key to clear thinking about the world we live in is “determining whether the patterns represent noise or signal” (240). Reading as I often do loosely and by thinking analogically, I found the musical resonances of Silver’s book delightful. I was thinking about the components of musical style and how as listeners we seek “ideas and information” (106) in the musics we encounter. Silver defines signal as “an indication of the underlying truth behind a statistical or predictive problem” while noise is “random patterns that may be easily mistaken for signals” (416). For me, these definitions trigger questions about music: What is important in music and how do we know it when we hear it? One difficulty about music as an experience is that is has both signal and noise as integral parts of its fabric. Consider, for example, how many musical instruments–from distorted electric guitars to buzzing African mbiras–have a noise component built into their very sound. Noise is often a major part of the attractiveness of an instrument’s or a music’s timbre. But thinking about it loosely, there are other, less literal kinds of noise in music too. There is, for instance, the noise of the conventions of a particular musical style, the noise of the cultural assumptions that underly those conventions, the noise of what is popular at this very moment, the noise of nostalgia and references to music’s past in today’s sounds, the noise of musical repetition, the noise of musical technologies and their questing after the ever-new, to name a few varieties. As for the notion of the “underlying truth” or signal in music though, this just isn’t something we can ever get at conclusively let alone prove. (Does music ever prove anything besides its own existence over time?) But that doesn’t mean that some kind of truth-like essence isn’t empirically real–or at least, real enough that we can feel this essence’s presence. The signal, I suggest, is when a musician (or composer) is able to say something that meaningfully resonates–sometimes across the ages and across cultures and geographies–and cuts through the noise. The signal reminds me of what the art anthropologist Robert Plant Armstrong calls an “affecting presence” (The Affecting Presence: an essay in humanistic anthropology, 1971). When the signal is there, it’s there–we just need to be able to perceive its affect. This leads us to another theme of The Signal and the Noise: that our thinking is often loose and rife with assumptions that often aren’t well grounded. And it gets worse over time too. Silver: “The blind spots on our thinking are usually of our own making and thy can grow worse as we age” (288) Surely then, we also have “deaf spots” in our music listening habits and practices? If so, how can we become more aware of them and their sources? Come to think of it, is musical “taste” in fact just a deaf spot we mistake for what we deem interesting? Can we tighten the quality of perception we lend to our listening? Could each of us, one day, like and understand all musics?